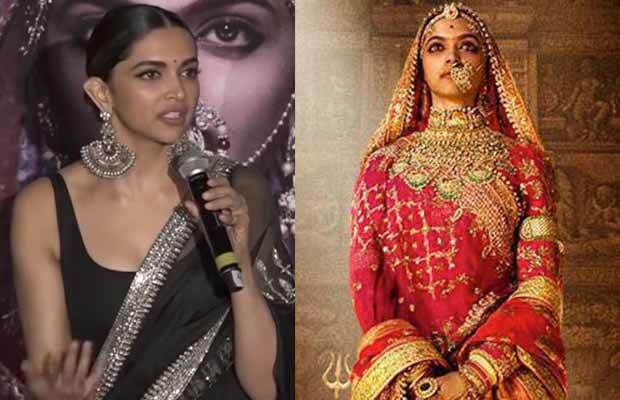 Time and again Karni Sena has been targeting Deepika Padukone for being a part of the film Padmavati. The film Padmavati is so close to its release and hence the members of the Rajput Karni Sena have increased the violence. Also, there is a constant string of bitter words aimed at the star cast of the film, specially Deepika Padukone, who is the main lead of the film. Earlier, a member of Karni Sena had openly threatened to chop off Deepika Padukone’s nose as he thinks that she has violated the Indian culture. Also the chief of the sena had called her a ‘bazaaru woman who dances for money.’ In fact, the sena has issued a prize money of Rs 5crores for anyone who beheads Deepika and Sanjay Leela Bhansali. Amidst such issues, the film has even been denied certification by CBFC saying that the makers presented incomplete documents! Starring Shahid Kapoor along with Ranveer Singh and Deepika Padukone, Padmavati is slated to release on December 1, this year. Previous articleBox Office: Golmaal Again Continues To Rule Even On Its Fifth Friday! Next articleHere’s All The Details You Would Want To Know About Ed Sheeran’s Trip In Mumbai!